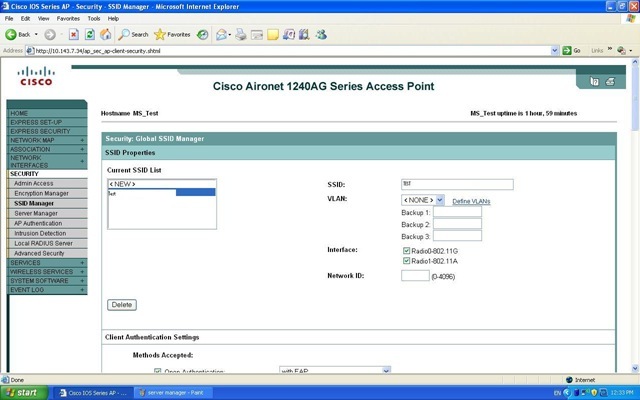 This is a config for Cisco 1242 AP to get authenticated from MS IAS 2003. 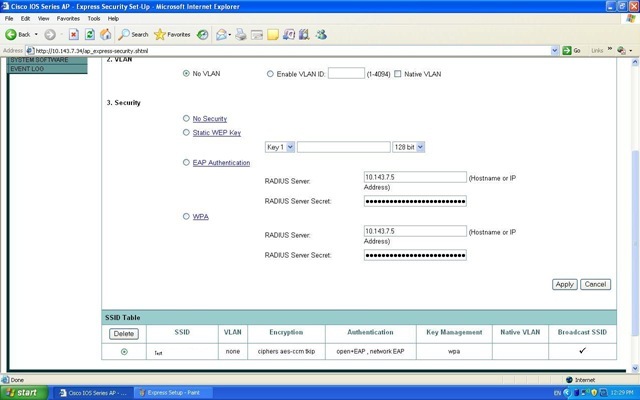 IAS 2003, MS DHCP and Cisco AP must be in same VLAN or LAN. 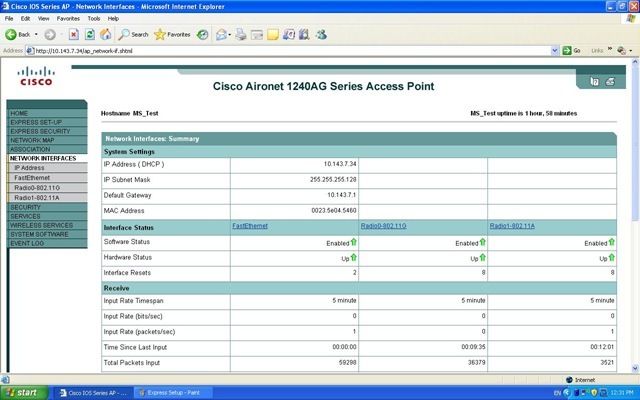 Connect Cisco AP in the network. It will get an IP from DHCP. 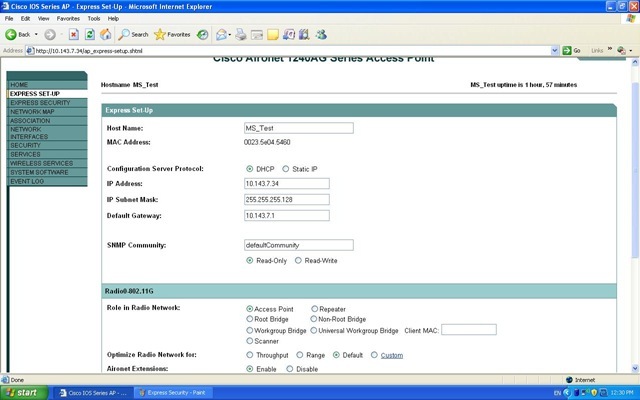 Make sure you reserve the IP in DHCP.